Our staff has selected five exceptional cars as candidate for the inaugural ClassicCars.com Award which is being awarded as part of the Arizona Concours d'Elegance. Our staff has selected five exceptional cars as candidate for the inaugural ClassicCars.com Award which is being awarded as part of the Arizona Concours d’Elegance taking place today at the Arizona Biltmore Hotel and Spa in Phoenix. Now, we need you to decide which of those cars receive the trophy. Here’s what you, the classic and collector car community, do to take part. 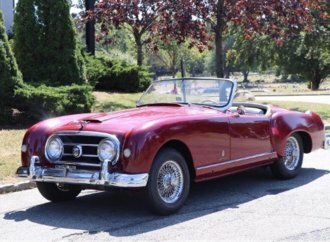 See the details about each of the cars below, you also can watch video of each of the cars on the ClassicCars.com Facebook page, and then vote via that page – or right here on the blog – for your favorite. The winner will be announced at 5 p.m. today, both here and on our Facebook page. Nineteen T-26 Grand Sports were constructed. Only 11 still exist. Each Grand Sport is different in detail but shares the seamless coachbuilt body supplied by Facel-Metallon. No. 111-017 is the third-to-last car produced before the factory closed in 1956. 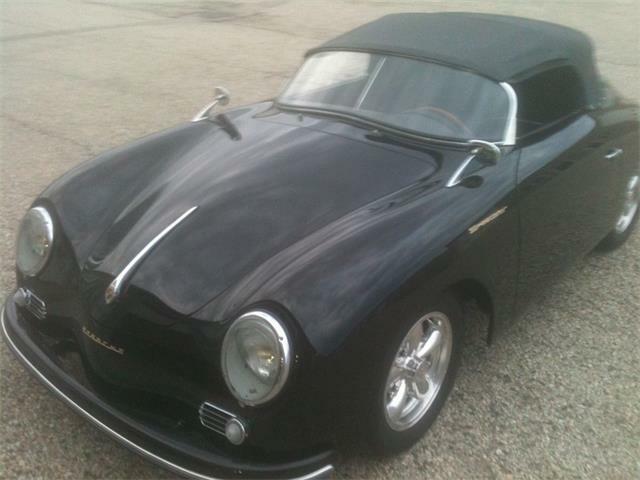 Finished in rouge with beige leather interior, it was delivered to Monsieur Regy on July 4, 1955. It is the only one equipped with the factory competition package, which includes Dunlop 204 racing tires, Borgo sport pistons, triple Solex carburetors with low-restriction air cleaners, hotter cam, lightweight bumperettes, driving lights, unique side-exit exhaust with cut-out and a quick-fill gas inlet in the trunk. 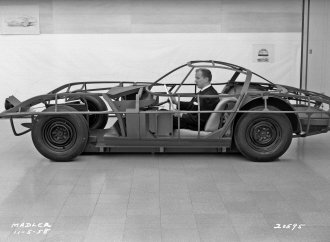 This is the first “Gullwing” delivered – Chassis #4500003 was originally owned by legendary American sportsman Briggs Cunningham. This 300SL was likely a pre-production car not intended for sale, but it was renumbered by the factory to fulfill Cunningham’s rush order. Accordingly, it exhibits numerous physical differences compared with most production Gullwings, including a shorter body and many hand-formed components. It was shown at Watkins Glen in 1955 and won the first-place prize. It has recently undergone a full restoration in Germany. In 1933, Pierce-Arrow unveiled a radically new streamlined sedan named the Silver Arrow at the New York Auto Show. Priced at $10,000, it was announced with the slogan “Suddenly It’s 1940!” Pierce-Arrow stylist Phil Wright subjected his unique design to extensive wind-tunnel testing, resulting in a tear-drop shape with steeply angled grille, flush front fenders, concealed side-mount spares and tapered rear body. 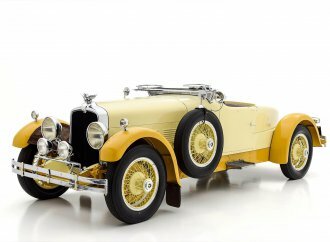 The steel coachwork was constructed in-house and mounted to the top range “1236” chassis. 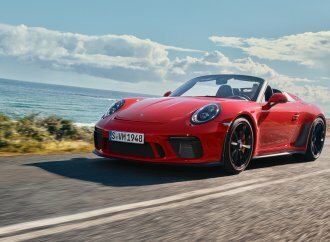 Power comes from a massive V12 engine mated to a three-speed manual gearbox. Professional driver Ab Jenkins drove one to 115 mph at Bonneville. Only five were constructed and just three remain. The Packard Model 1005 Twelve was the pinnacle of the company’s 1933 model line. 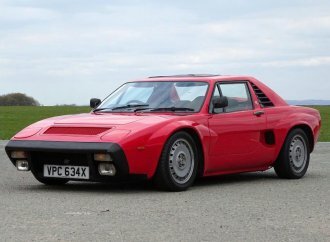 Only 520 were produced, each powered by a 445 cubic-inch engine producing 160 horsepower. 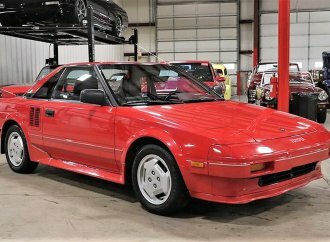 The company’s marketing slogan was, “Ask The Man Who Owns One.” This one has driven off with the Classic Car Club of America’s Premiere Award, scoring 100 of a possible 100 points as well as trophies from several concours. 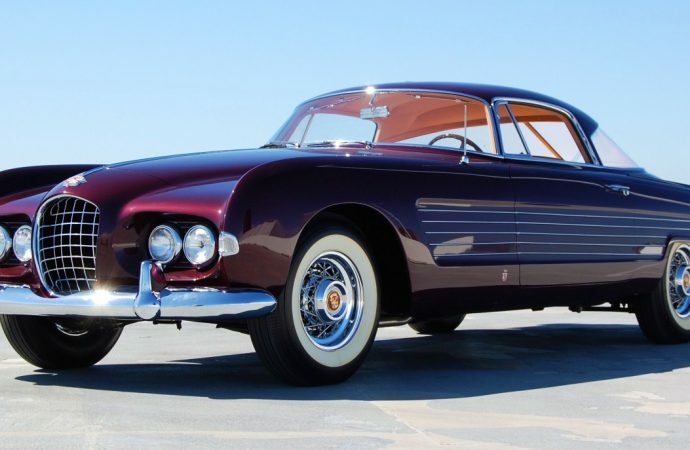 This flamboyant coupe by Ghia was originally owned by Hollywood actress Rita Hayworth – her soon-to-be-ex-husband, Prince Ali Khan, the world’s wealthiest man at the time, gave it to her after he spotted it on Ghia’s display stand at the 1953 Paris Motor Show and bought it outright. Because of the celebrity connection, the show car was henceforth known as the Rita Hayworth Cadillac. 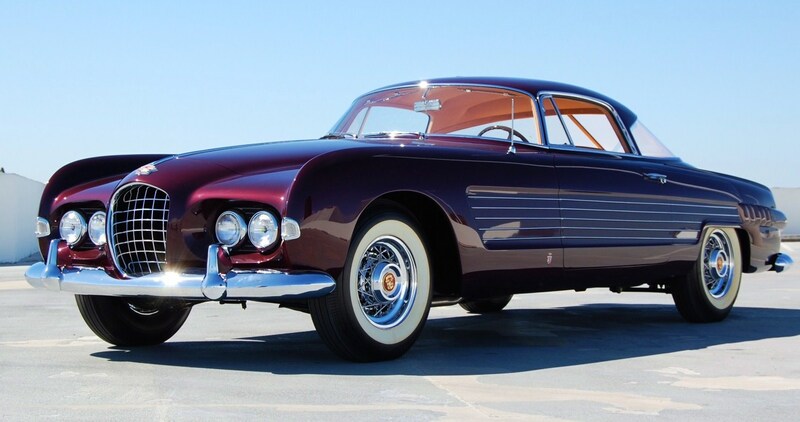 The coupe was one of two built by Ghia and combines the exotic looks of an Italian custom with powerful and reliavle Cadillac running gear, built on the Series 62 chassis.